This week was hard! Even harder than the skeleton which I could not believe was possible! This week was all about two point perspectives which means drawing objects that are going in different directions or that are at different angles. You had to put your 'vanishing point' on the paper and draw from that. 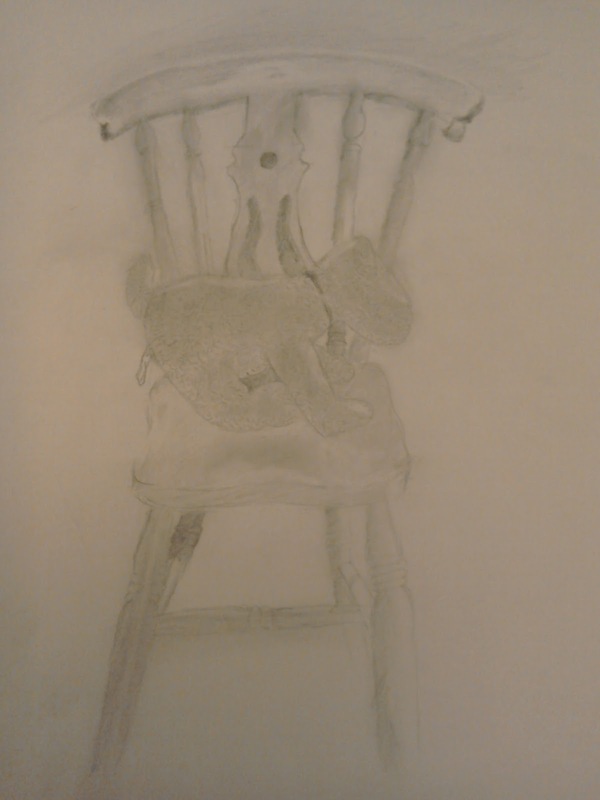 I decided against that purely because I could not figure out where it went and the perspective of the objects that I wanted to draw was head on. Not my best work from the classes but I learnt a lot about shading. For example the fur on the dog is created by shading him in then using a rubber to erase gaps to show light. Then you draw in tiny lines and repeat. 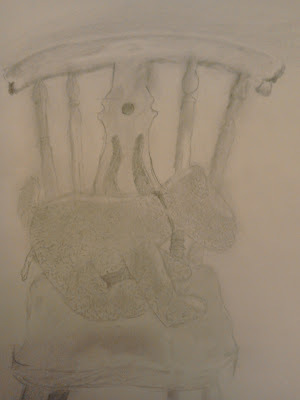 Also using this technique with the shading and erasing to show the curves of the chair. Anyone got any good drawing tips?